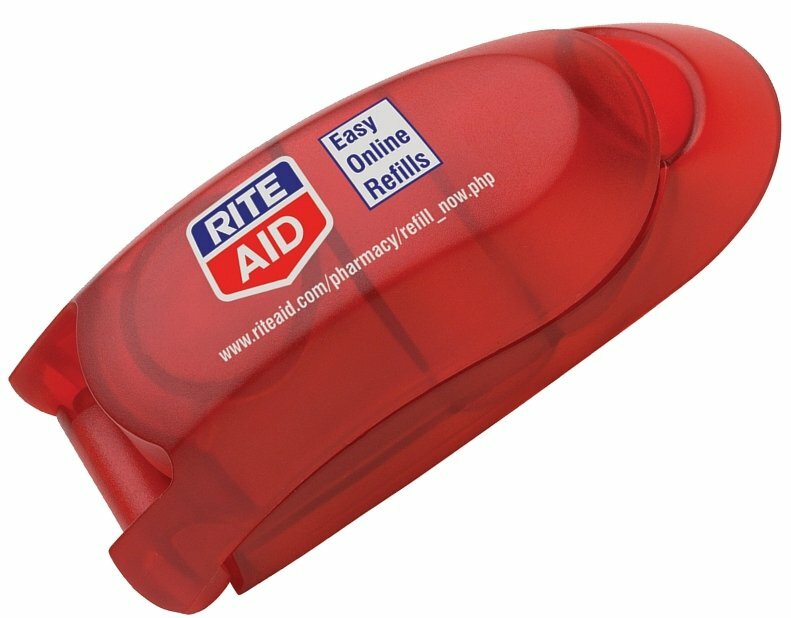 Hard to swallow vitamins and pills are easily cut in half using the Pill Cutter with a logo. Applications include all pharmaceutical trades, home health and medical promotion. Features include quality plastic case with razor pill cutter, storage compartment. Variety of pill cutter box colors, overall size is 3 3/4" w x 1 1/2" h x 1" deep. Delivery from date of order is 2-3 weeks. Each box polybagged. This promotional products giveaway is Made in the USA. Price includes a one color imprint on the top in area 2" w x 7/8" h.
color add a setup and a running charge of $.30 each. Logos require Illustrator factory ready eps or pdf.